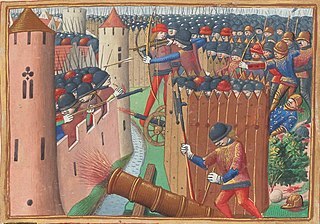 The Siege of Boulogne took place during the autumn of 1492. Henry VII of England had led an expeditionary force of 12,000 troops across the Channel to Calais and began to besiege the French port of Boulogne on 18 October. After several weeks the siege was broken off when Henry and the French monarch Charles VIII agreed the Peace of Étaples. This offered very favourable terms to Henry including the payment of £149,000 by Charles and the end of French support to the pretender to the English throne Perkin Warbeck. Henry had been in negotiations even before the campaign, and the move against Boulogne may have been intended to put further pressure on Charles. 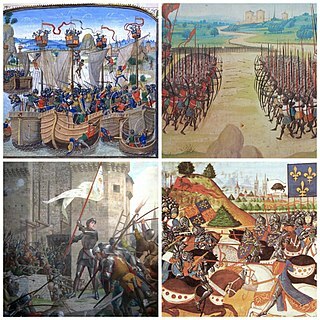 English troops withdrew to Calais and Henry returned to England. Fifty years later further English attempts against Boulogne were led by Henry's son Henry VIII. Roger Lockyer & Andrew Thrush. Henry VII. Routledge, 19 Sep 2014. Thomas Penn. Winter King: Henry VII and the Dawn of Tudor England. Simon and Schuster, 2013. Étaples or Étaples-sur-Mer is a commune in the Pas-de-Calais department in northern France. It is a fishing and leisure port on the Canche river.